Posted on July 4, 2017 at 12:05 pm. As part of Macau’s crackdown on corruption and money laundering, facial recognition technology will now be added to some of Macau’s ATMs. Macau, the world’s biggest gambling destination, has become a hot spot for money laundering schemes, while the outflow of cash from China has been lowering the value of the Chinese yuan and having a drain on capital reserves. Macau has been identified as a primary location for Chinese citizens and corrupt officials to move money around outside of the Chinese mainland. The facial recognition checks will be required for customers who make withdrawals using a Chinese UnionPay bank account, which is the biggest banking network used in Macau. In addition to entering their pin number, users will also be required to scan their identification card and look into an affixed camera for six seconds while the machine confirms their identity. The facial recognition software will match the picture on the identification card with the face in the camera, with the ability to see through the aging process and any plastic surgery. 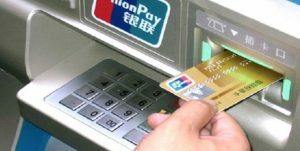 The software will be added to over 1,200 Chinese UnionPay cash machines, with other payment providers (including Visa and MasterCard) required to support the facial recognition software in the future. The banks will be required to cover the costs of implementing the facial recognition software to their ATMs. The identity checks come after Macau’s government introduced a limit on all cash withdrawals in December from 10,000 patacas (US$1,243) to just 5,000 patacas (US$621 per transaction. Individuals have been curbing these restrictions by withdrawing using multiple bank cards, or having friends or relatives withdraw cash on their behalf. Not only will the implementation of facial recognition technology hinder any money laundering plans, it will also prevent hackers from accessing stealing banking information. The introduction of facial recognition software to Macau’s ATMs comes after Macau recorded its most financially profitable month in over three years. According to the Gaming Inspection and Coordination Bureau, gaming profits rose 24 per cent in May compared to the same time last year. The region has been struggling with gambling related crime and illegal proxy betting rings, but recent figures suggest things are finally improving for Macau’s gambling industry. Looking for an online casino? We recommend Bovada Casino, which offers secure games for players from United States.